This past Summer Garett of Strawfoot Handmade made me one of his roll-top tote’s which at the time he had just started producing regularly. 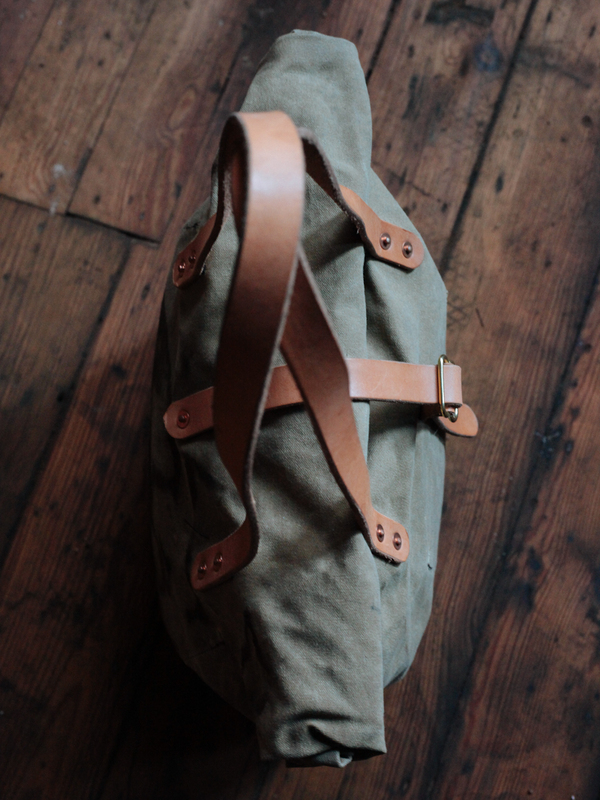 I was looking for a bag to throw in my Gamoh porteur rack and this seemed like the perfect bag for the job due to it’s size, durability, and water-proof properties inherited from the waxed canvas. Since the bag is mostly carried by bike the vegetable tanned leather is taking a little while to darken but it’ll come in due time. 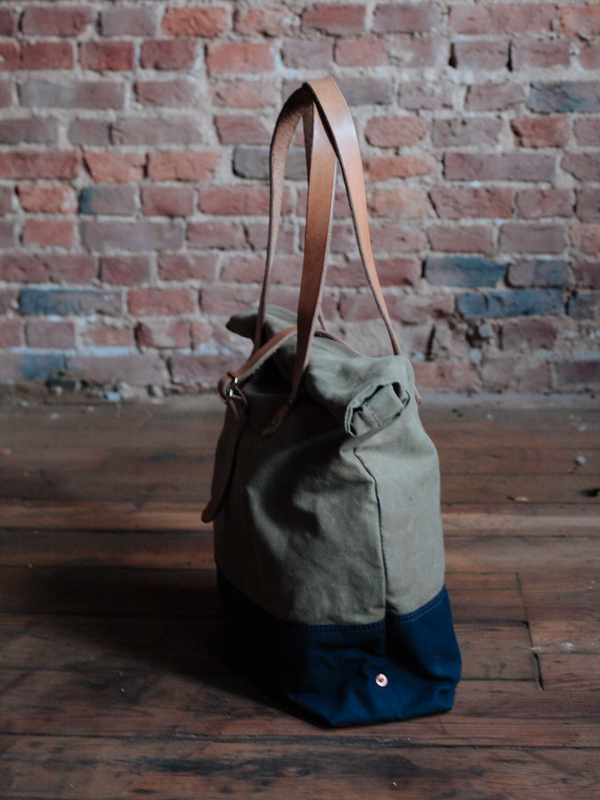 Brass hardware, vegetable tanned leather, and waxed canvas throughout. The straps place the bag right at waist-level when worn over the shoulder, comfortable for walking around town. Inside are two canvas pockets for keeping smaller items organized. 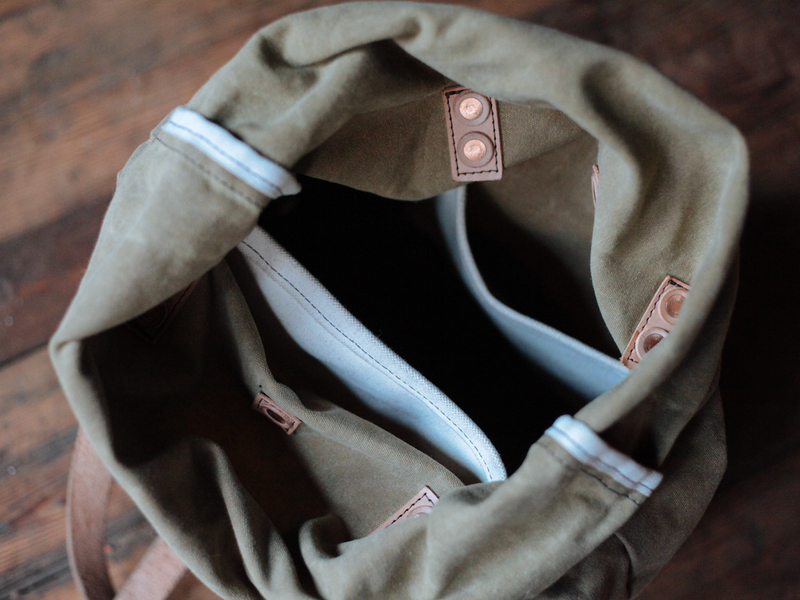 Note the hand-hammered copper rivets that hold the straps to the bag.